I was born as the second son of a famous gynecology doctor who wanted me to be his successor in Korea, but I disliked blood smell and went my way. After he passed away, I decided to follow him by studying oriental medicine in late age. Thus, I am a recent grad though I have made a great effort to cover up the weak aspects that in the acupuncturists are facing: the less patients in number, which results in the lack of various treatment cases, compared to the major countries of oriental medicine, China, Korea and Japan. 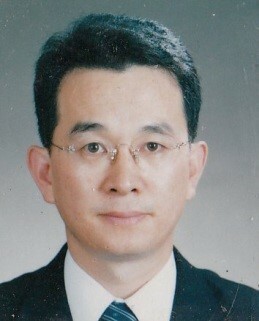 For this, after and before my working, I went to Korea for one and half years and build up considerable experiences by receiving 25 to 40 patients a day in the famous member clinics that belongs to Korea Shanghan & Jingui Association, the largest organization for 3,300 Korean medicine doctors’ case study exchange. In addition to the basic knowledge of the Chine and Korean medicine, unlike other colleagues I deeply studied Japanese oriental medicine, of which level is actually the highest in the world in terms of case study thesis and their depth. As a result, I could become a competitive professional who has deeper understanding both in acupuncture and herbal formulas. I have a good confidence in my skill and way of treatment that can keep and secure patients to the extent that a partner could feel safe and satisfactory enough. This Clinic Specializes in treating Pain and Injuries with Acupuncture.